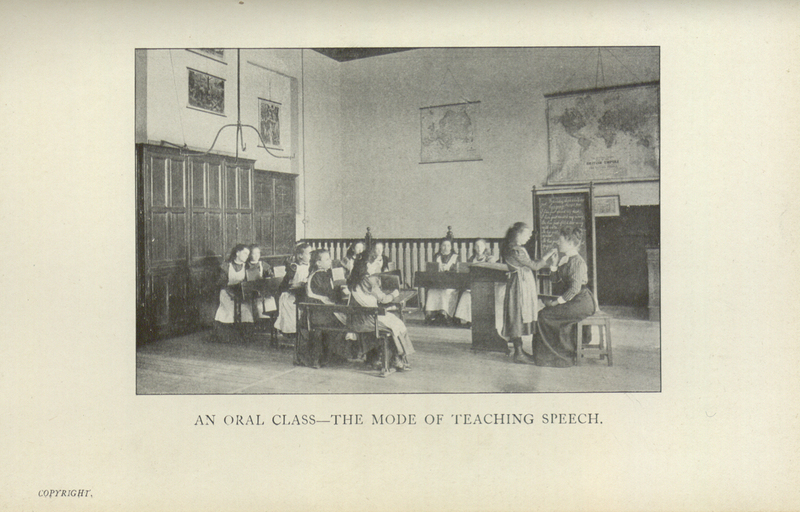 Birmingham’s Royal School for Deaf Children was established as a result of a lecture given to the Birmingham Philosophical Society in 1812 by Dr Jean Gabriel Marie De Lys, a physician who practised at the Birmingham General Hospital. The General Institution for the Instruction of the Deaf and Dumb began as a day school with 15 pupils in Birmingham in 1814. A residential school opened in 1815 on Church Road, Edgbaston, part of the Calthorpe Estate. It was renamed the Royal Institution for the Instruction of the Deaf and Dumb in 1887 and in 1929 as the Royal Institution for the Instruction of the Deaf. It became known as the Royal School for Deaf Children in 1935. A nursery and infants department opened at Laughern House, Martley near Worcester in 1942. The school closed in 1984. In 1880 the Milan First World Congress to Improve the Welfare of the Deaf and Blind voted to implement lip-reading as the sole method of teaching. This resulted in the rejection of sign language as a method of teaching and communication for deaf pupils. Photos from around 1900 held by Birmingham Archives & Heritage show the use of both methods but it seems that there was a gradual decline in the use of sign language after the Congress. we were never allowed to sign in class at school . . . one day my teacher caught me signing to my friend under the desk. She was angry and said that I shouldn’t use sign. She said that I looked like a little monkey. That’s what they used to call us when they caught us signing, little monkeys. As a result, campaigns were launched to reintroduce sign language and by the mid-1970s the Deaf Rights movement was established. In 2003 British Sign Language was officially recognised as a language in its own right by the British Government. The decision made by the Milan Congress was formally denounced in 2010 at the 21st International Congress for Deaf Education in Vancouver. 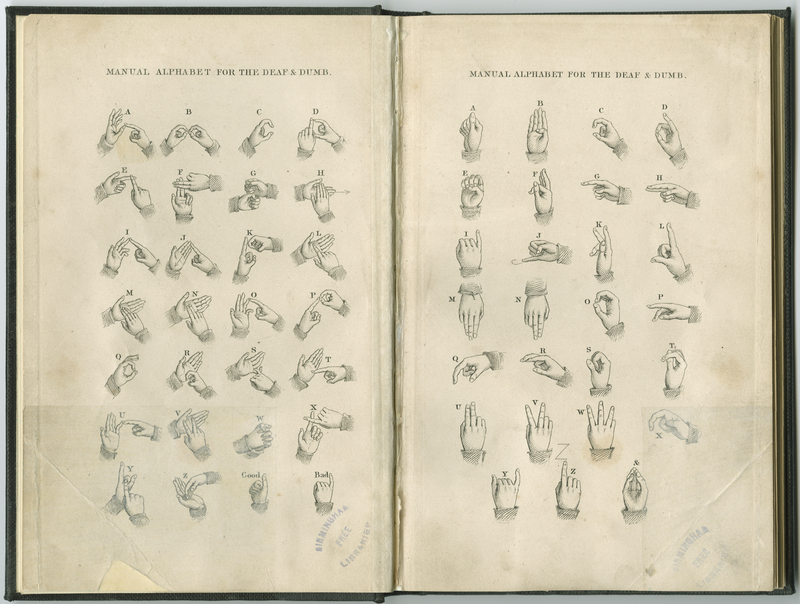 Birmingham Archives & Heritage holds the archive for the Royal School for Deaf Children, MS 1060. Appointments to view material can be made via email at: archives.appointments@birmingham.gov.uk or by telephone on 0121 303 2468.